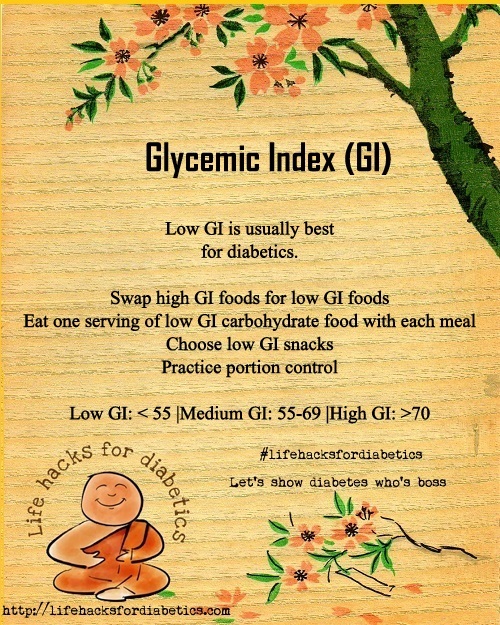 Low GI is usually best for diabetics. Make healthy diet choices. Swap high GI foods for low GI foods. Eat one serving of low GI carbohydrate food with each meal. Choose low GI snacks. Practice portion control. Low GI: < 55 |Medium GI: 55-69 |High GI: >70. More about the Glycemic Index and living with diabetes here. A to Z greetings! Lots of good info here. I’m not diabetic, but it does run in my family so I try and follow many of these tips to head off trouble.